The developers of Call of Duty: Ghosts do not sit idly and come up with something nice or interesting for us all the time. Just yesterday we reported about Festive Personalization Pack, and today we would like to tell you another Call of Duty: Ghosts news about the game’s action. 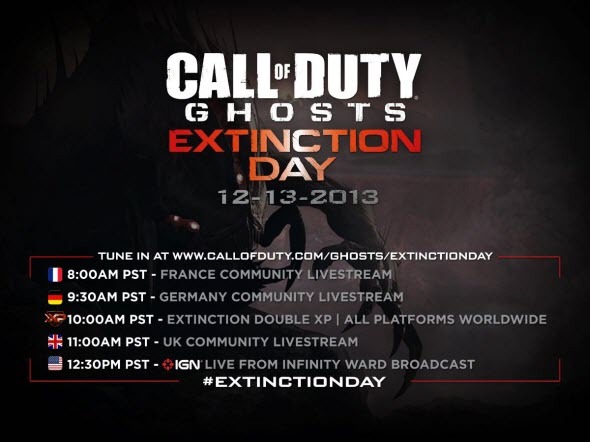 Thus, yesterday the project’s developers announced a new global event called Call of Duty: Ghosts Extinction Day. We are talking about a number of events which will be held from 13th to 16th of December this year. 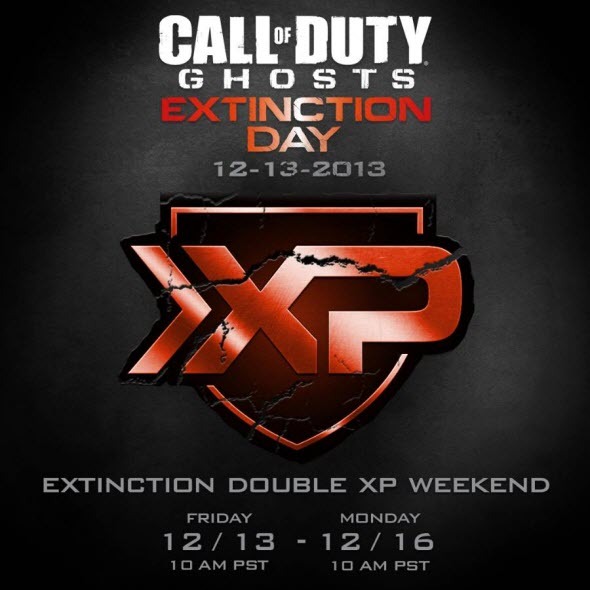 As a part of this action, all players will have the unique opportunity to double the XP, playing the Extinction mode, to watch numerous gameplay livestreams, as well as exclusive IGN live broadcast from the office of Infinity Ward, during which the developers will be talking about some upcoming features for the Extinction mode, and also the gamers will be able to ask their questions to the creators of CoD: Ghosts game. The schedule of the day’s events you can see here. So, dear players, you have a good opportunity not only to kill as many aliens as you can, while earning a lot of points, but also to learn more about future innovations planned for CoD: Ghosts game. Have you liked the news? Will you participate in this event? Your answers can be left at the bottom of the page.